A close up of the growth on Kurt's tree as of August 2017. 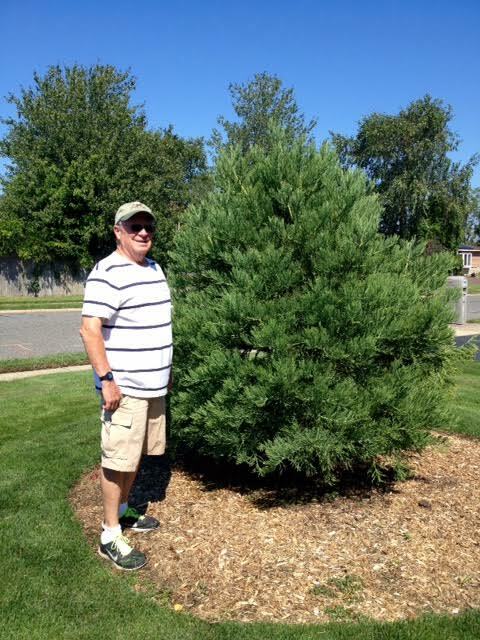 Thanks to Kurt Schneid for the 2016 update of his giant sequoia tree in North Boston, New York. Kurt said the original main trunk died and a stem turned upward and took over as the main stem. See the photo below of his girls with the seedling in 2012. Kurt Schneid had some help from his young girls planting their giant sequoia seedling. The seedling was planted in April 2012 in North Boston, New York. They will keep track of it's growth starting at 8". June, 2012 - Planted a little Giant Sequoia (received from you), on Father's Day. 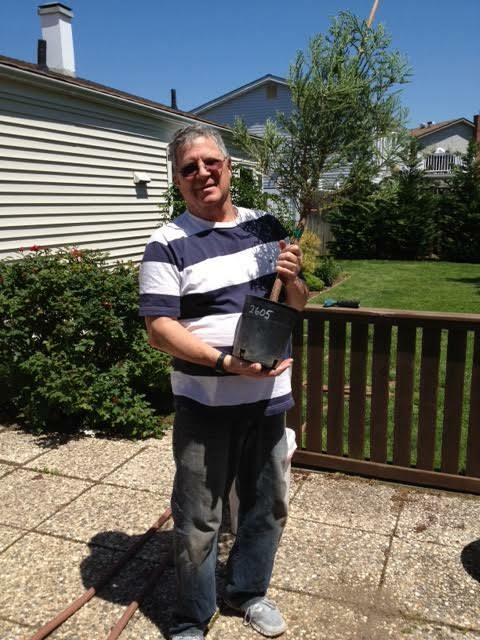 Image sent to us from Gary Kushner from Long Island, New York. Please see below for description of what this sequoia has been through. 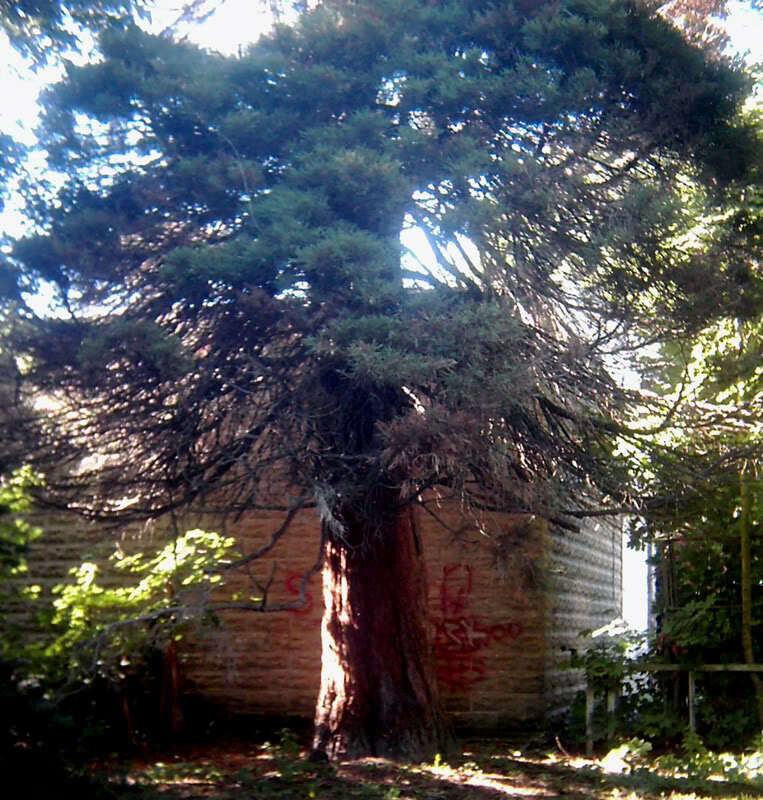 Gary Kushner's giant sequoia in the spring of 2013 after surviving Hurricane Sandy. "I have an interesting chronology to share with you and your customers. 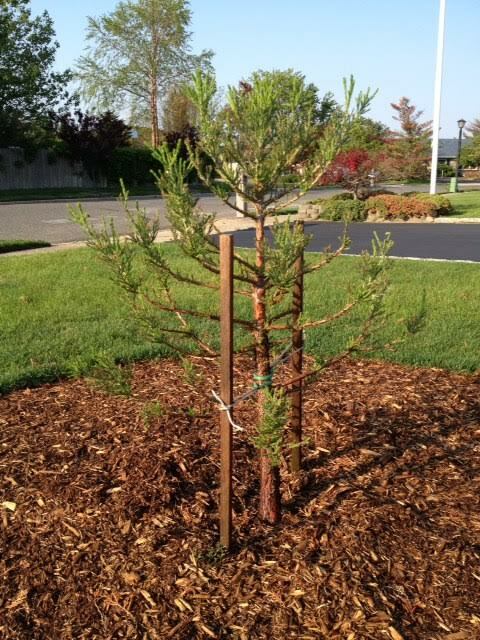 -June, 2012 planted a little Giant Sequoia (received from you), on Father's Day. Neighbors, without a clue of what it was, (and still haven't told them), thought the little tree a bit out of place on a block with such mature, fully grown trees and landscaping. -Spring, 2013: The little Sequoia was almost all brown like all the other dead evergreens around me. A couple of branches showed a faint bit of green life on them. I pruned away all the dead branches...which left the tree looking like a bare, brown stick standing up from the ground. Then, I used a 20-20-20 liquid fertilizer on it every few weeks. -August, 2013: As you can see by today's photo, the tree is 58 inches high and growing at a breathtaking clip! It's nearly five feet tall! This little giant tree took on the challenge of a giant storm, survived, and is now racing toward the sky". Thanks to Gary Kushner for this interesting timeline of his sequoia. "Thanks for your help monitoring the growth of the Giant Sequoia you sent us in 2012. It was planted on Father's Day of that year in memory of my dad. Its growth has been incredible, actually accelerating this year! 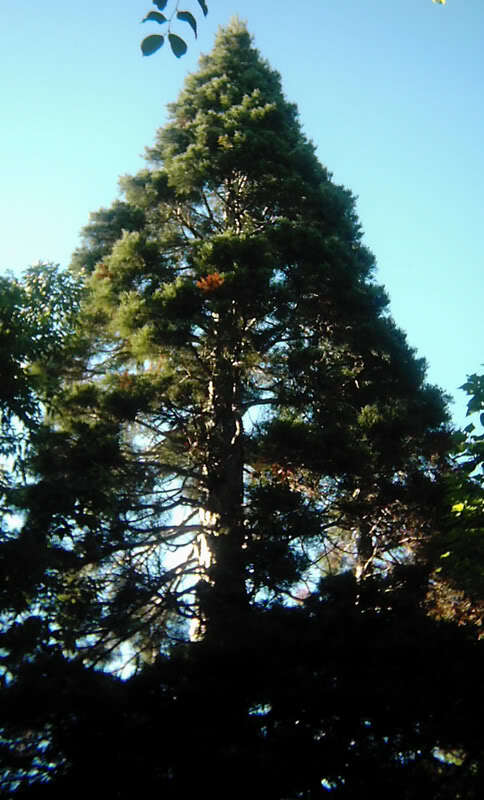 Your Sequoia trees are beautiful and a thrill to watch them grow so fast!" This image was sent to us on September 18th, 2015 from Gary Kushner updating us on how well his giant sequoia is doing. This giant sequoia is growing in Geneva. Geneva is in upstate NY in the finger lake region. This picture was sent to us by Evan from Ithaca, NY. This is a view looking up into the canopy of the Geneva tree taken by Evan. This is very impressive tree growing in New York. 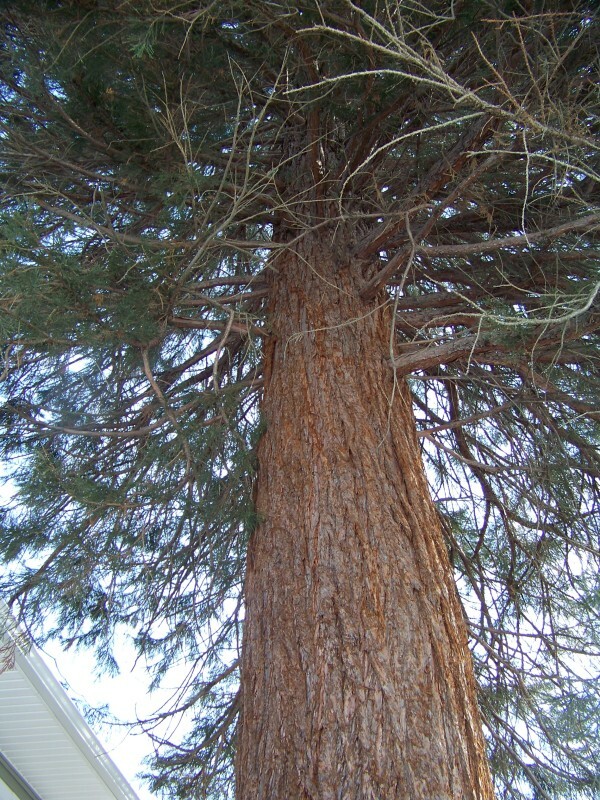 This is another view of the giant sequoia growing in Geneva. Evan estimates this tree's height is at least 65 ft. tall. 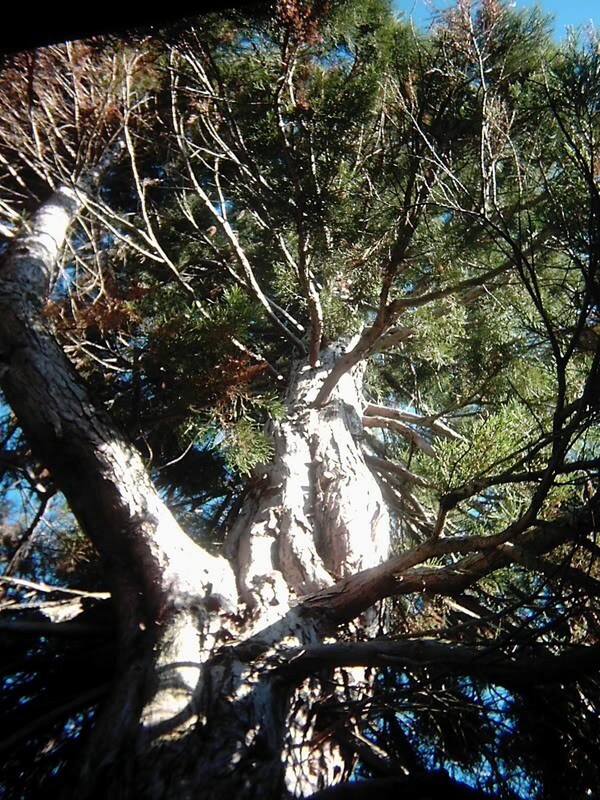 Here is a close up of the giant sequoia trunk located in Ithaca taken by town resident Evan. Chandra bought a giant sequoia seedling in California and planted it into this container at her home in Nassau county NY. This is two years of NY container growth of her tree. In downtown Manhattan up on the 25th floor terrace grows this fine giant sequoia specimen belonging to Sheila. 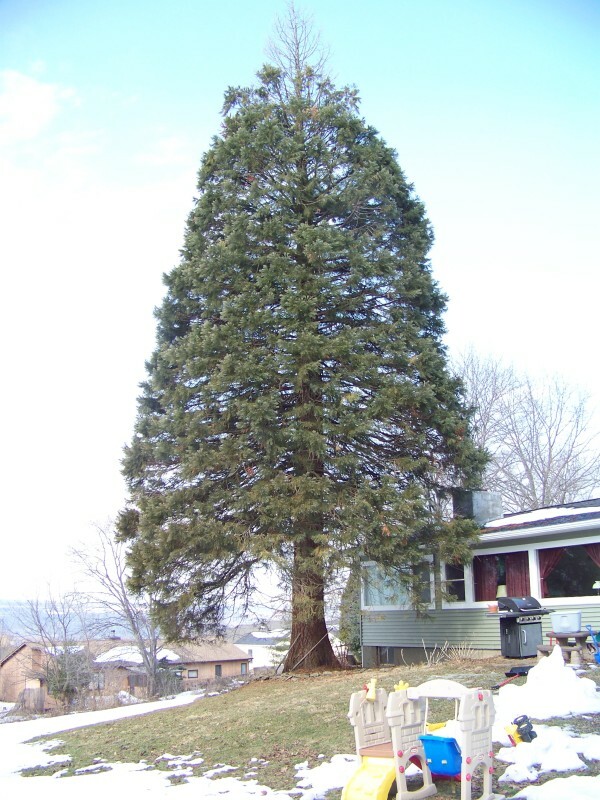 Kevin Hesse took a photo of this giant sequoia in Hamburg New York which is south of Buffalo and east of Lake Erie. The winters can be very harsh which doesn't show any ill effect on this older tree. The Hamburg tree from a greater distance sent to us from Kevin Hesse. Gordie Booth sent this picture of his tree purchased from our nursery two years ago. The tree is in Pittsford outside of Rochester. 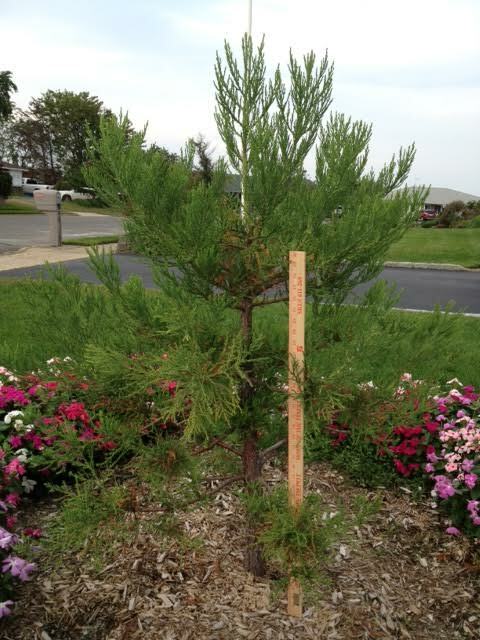 Frank Griffo sent this well protected giant sequoia growing at Hopewell Junction.